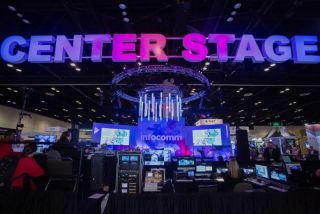 InfoComm 2018 will bring back Center Stage to the trade show floor, June 6-8 in Las Vegas. The Center Stage sessions will explore how to increase audience engagement through personalized and immersive experiences by way of augmented reality (AR) and virtual reality (VR), wearable technology, human-centered user interfaces, and more. "We're excited to have Center Stage return after a successful debut at InfoComm 2017," said Jason McGraw, CTS, CAE, senior vice president of expositions, AVIXA. "It's a great opportunity to learn from these bright creatives who employ technology to push the human potential to learn, connect, and entertain." In the Center Stage session: Personalization of Digital Signage Content, David Title, chief engagement officer of Bravo Media, and Manolo Almagro, managing partner of Q Division, will bring their expertise of advertising media psychology to discuss the complicated art of translating analytics information into a genuinely fun experience. They'll discuss what displays and sensors are needed to achieve that personal experience and how to show technology buyers they're getting their ROI. In the The Psychology of User Interface session: Design led by Sundar Raman, director of creative engineering, Local Projects, and James Patten, director of patten studio, will explore how technologies like voice, motion, heat, and RFID sensors, can be used to analyze human actions and emotions and turn the human into a user interface. "By putting innovators in conversation, Center Stage shows how AV is leveraged across disciplines to create something really exciting," said Rachel Bradshaw, director of exhibition content, AVIXA. "Center Stage is a beacon of inspiration in the middle of the show floor."